E.S Educational Charities has carved for itself, a name in the field of Women’s education in Villupuram district and has been rendering a commendable service for more than three decades. Owing to the untiring efforts of the visionary management and the unstinted support of the parents and students, it has blossomed into 12 institutions under the E.S Group Banner. 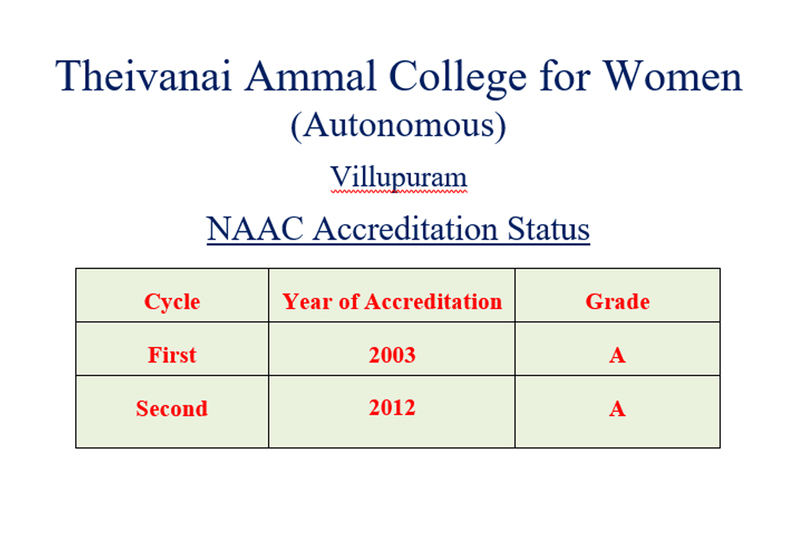 Founded in 1989, Theivanai Ammal College for Women was accredited by NAAC with “A” grade and conferred the status of Autonomy by UGC. Autonomous status was extended for future six years till 2021-2022. The College adopts Choice Based Credit System with focus on academic excellence, vocational skill development, value orientation and sensitization for community development. Its creative and flexible curriculum aims to provide each student with the best possible opportunity to fulfill their intellectual potentials and to contribute towards resolving the global challenges of the day. The College has a long-standing reputation for discipline, values and rigorous training. 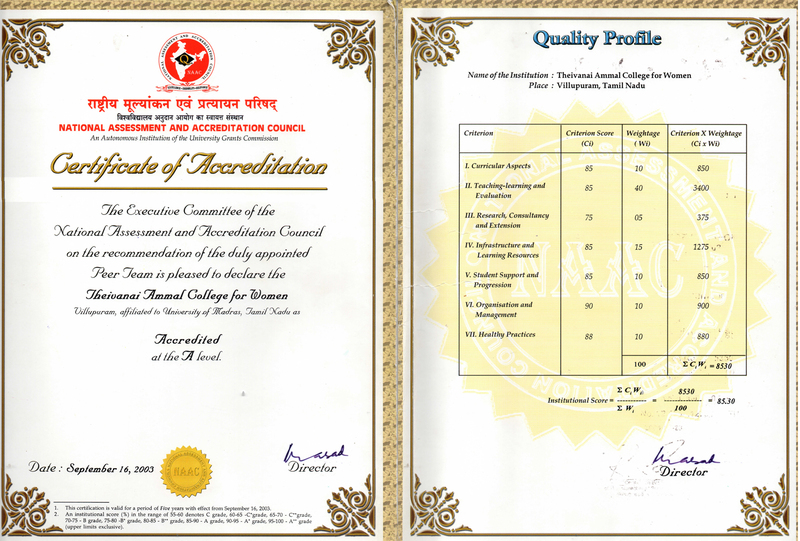 The college has a team of experienced faculty and our academic programmes are reviewed regularly. Courses are conducted in accordance with rules and regulations laid down by the University Grants Commission, TANSCHE & Thiruvalluvar University. The college emerged as the leading self financing college in Villupuram district in terms of student strength, number of academic enrichment programmes, faculty strength and student development activities. The college has a good track record in extra- curricular activities like NCC, NSS, cultural activities and sports achievements. The college embraces updated and contemporary curriculum making the best use of its Autonomous status. 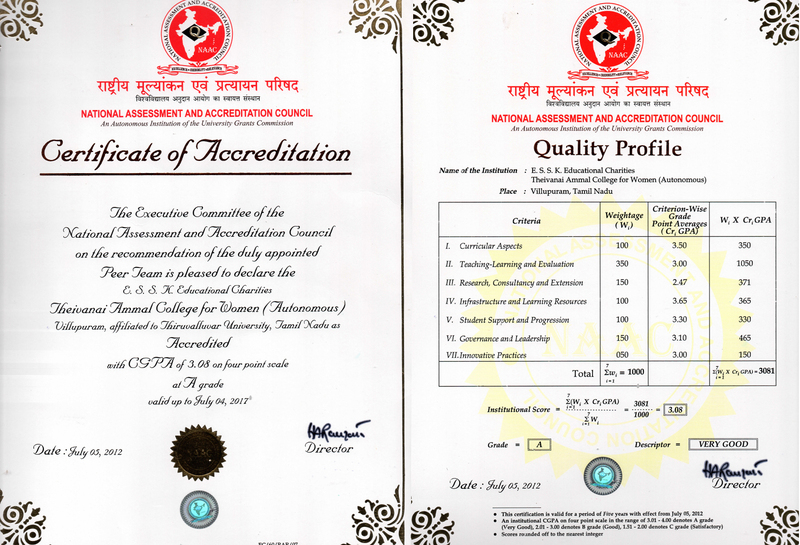 TACW is marching ahead on the road to success, preserving the traditional values and powered by modern technology. "The college functions with focus on its mission-"Women Empowerment"